Vuly Trampolines’ Athletes take on the 2016 Rio Olympic Games. It only comes around every 4 years, but that’s what makes the Olympic Games so special! Just like in 2012, Vuly Trampolines has its own stake in this year’s trampolining events. We’re proud to be the sponsors of Vuly Athletes from Team Australia and Team USA, who are taking on the competition in Rio. Blake Gaudry, Charlotte Drury and Logan Dooley will be heading to Brazil later this year to compete against the best in the world. After making it through the tough Olympic Test Event on April 19. It was their make or break chance to get to Rio, and they certainly pulled through! Blake Gaudry qualifying in Men's Trampoline for Rio 2016 [Source: Facebook page 'Blake Gaudry']. A Vuly veteran, this is Blake’s second showing at the Olympic Games, after flying the Aussie flag at London in 2012. Ever since that year, Blake has set himself a goal of winning a medal at Rio, and now that he’s qualified, he’s one step closer to realising the dream of Gold, Silver or Bronze. After qualifying, Blake also heaped praise onto coach, Nikolay Zhuravlev, who is also Vuly-sponsored. 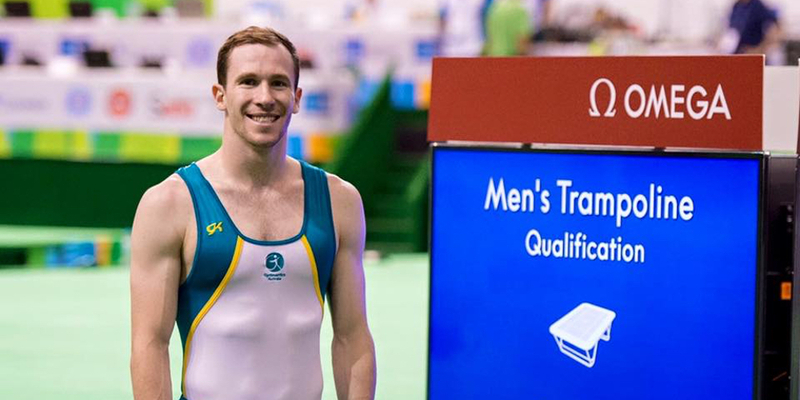 As one of the country’s most seasoned performers, he was the only Australian trampolinist to qualify through the 2016 Gymnastics Olympic Test Event, and he’ll compete in the Men’s Individual Trampoline competition. Blake will now turn his attention to the hotly contested 2016 Australian Gymnastics Championships, which will take place from May 23 to June 4. He will face fierce competition, including fellow Vuly Athlete, Ty Swadling. 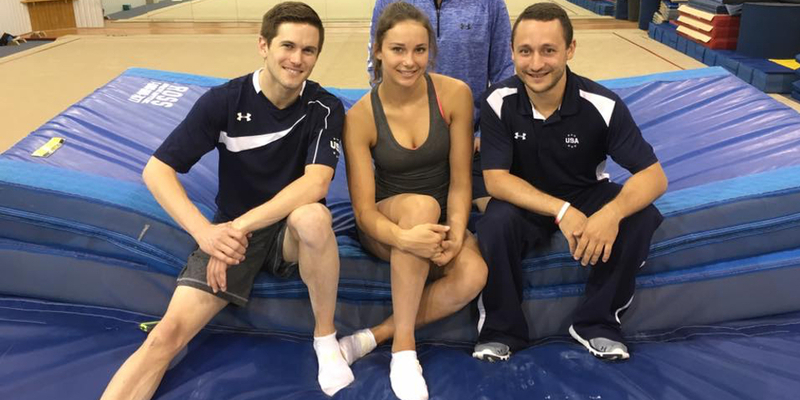 Logan Dooley (left) and Charlotte Drury (centre) to represent Team USA at Rio 2016 [Source: Twitter page '@charlottedrury']. Charlotte is a newer face to the Vuly Athlete family, but she’s been an absolute rising star from her initial US Elite Championships in 2011. Since then, she’s been sweeping into first place at Elite Challenges across America; she’s also been a standout performer at plenty of World Cups. In fact, at just 17, she was the first American woman to win a gold medal in trampolining at a World Cup! This is Charlotte’s Olympic Games debut, and in her words, it’s “incredible”. She’s one of only a handful of US trampolinists to qualify for the Olympic Games—an elite group that includes fellow Vuly Athlete, and Olympic finalist, Savannah Vincent. 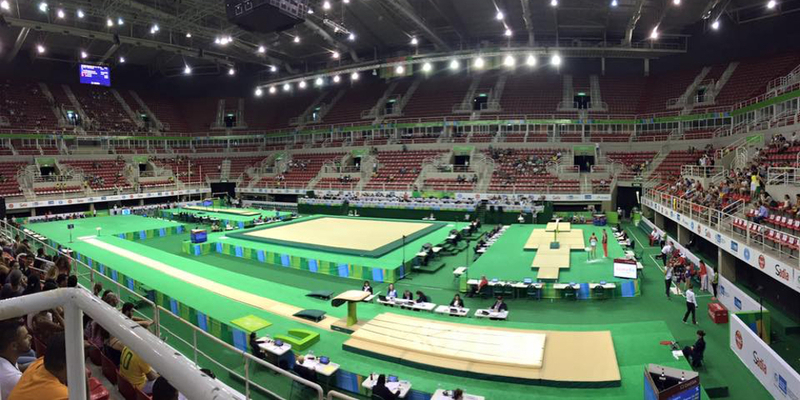 The Gymnastics Olympic Test Event where the Vuly Athletes secured their places for Rio 2016 [Source: Facebook page 'Blake Gaudry']. He’s been one of the United States’ best trampolinist for 10 years, and Logan Dooley is showing no signs of throwing in the towel! A 6-time synchro champion in the US, and a member of the World Championships team for 7 years, Logan cemented his place as America’s top man on the trampoline when he won the first World Cup series synchro title for the US in 2010. Having been an alternative for the 2008 and 2012 Olympic Games, Rio represents Logan’s first outright Olympic qualifier. His ultimate goal is to bring home an Olympic medal for the USA. Who knows, he might just be up there on the podium with fellow Vuly Athlete, Blake Gaudry! Are you looking forward watching the trampoline event at the Olympic Games in Rio this year? We’ll be cheering our sponsored Athletes on, and we hope that everyone performs at their best. We’ll keep you posted on Blake, Charlotte and Logan’s progress throughout the year.